Comfort and convenience are the hallmarks of Queens Endoscopy ASC's office operations. To ensure your convenience, below is the information you need about our hours, location, appointment scheduling, insurance acceptance and billing. 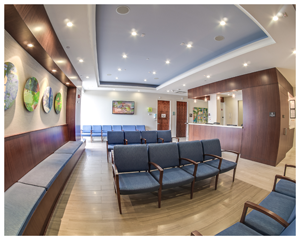 Queens Endoscopy is located on the ground floor of 176-60 Union Turnpike. The entrance to 176-60 Union Turnpike is located on the South side of Union Turnpike, half a block East of Utopia Parkway. 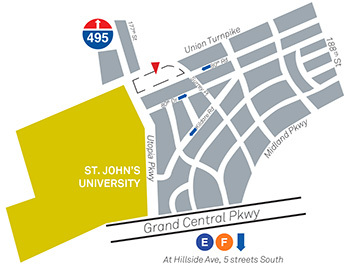 Patients can connect from either the E or the F train at Union Turnpike station and take the QM 1, 5, 6, 7 & 8 East to the center. Alternatively, patients coming from the North or South can take Route 30 and 31 to the corner of Utopia Parkway and Union Turnpike. From Eastern Queens/Nassau: LIE West to Utopia Pkwy (Exit 25), left on Utopia Pkwy, left on Union Tpke. From the West (Flushing, Corona, Astoria): LIE East to Utopia Pkwy (Exit 25), right on Utopia Pkwy, left on Union Tpke. Northern State/Grand Central: To 188th St (Exit 19), right on 188th St, left on Union Tpke. From the South (Ozone Park, Rockaway): Van Wyck North to Main St, then follow Main St to Union Tpke. Right on Union Tpke and follow for about 1.5 miles to Union Tpke and Utopia Pkwy. Cross Island: Go past Union Tpke to Exit 29 West (Grand Central). Grand Central to 188th St (Exit 19), right onto 188th St left on Union Tpke. Clearview Expy (South): To Union Tpke (Exit 2), right on Union Tpke. Please contact our office to verify acceptance of your insurance plan or please see Billing Inquiries. Qualifications for insurance coverage may differ due to the uniqueness of each procedure. For any billing questions please call (212) 874-3384. Please see Billing Inquiries for details.